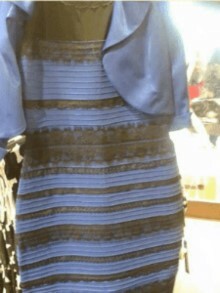 “Black and blue.” “You’re crazy – It’s white and gold!” Four years ago, the internet lost its collective cool over “The Dress”. Arguments quickly escalated around the globe about whether the dress was black and blue or white and gold. To this day, our office is still divided on what color we see. We don’t need to relive the pandemonium, but looking at the photo, lighting definitely played a role in what people saw. “Are these pants black or navy blue?” This is a question I get asked frequently by my husband. No, he’s not colorblind. The lighting in our closets isn’t bright enough to easily distinguish between dark colors. Then my husband Guy had a great idea. After washing his pants, we put the black pants on black hangers and the navy pants on the other colored hangers. 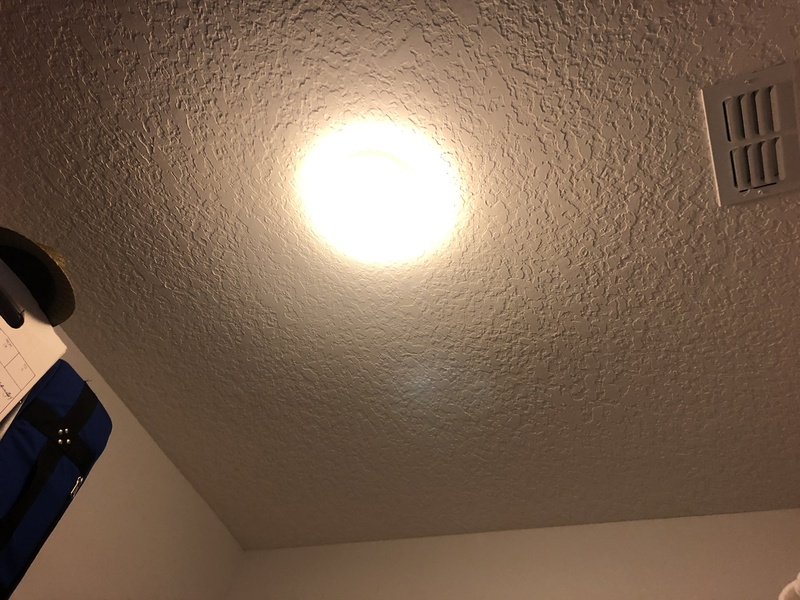 Brilliant solution to our inadequate closet lighting. So, there I am in the laundry room, which is brighter than the closet, armed with appropriate colored hangers asking myself, are these pants black or navy blue? 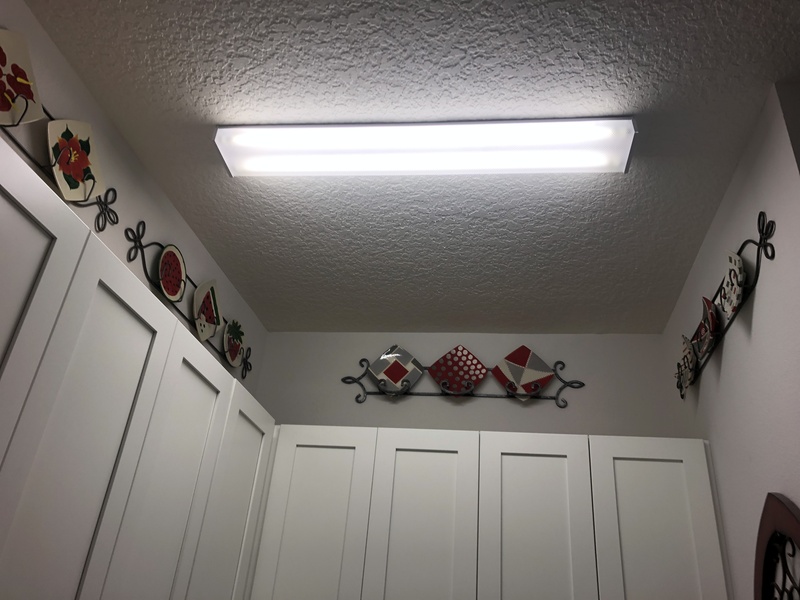 It was that moment when I looked up to at the fluorescent fixture in my laundry room. While there is more illumination, it is not full spectrum light. 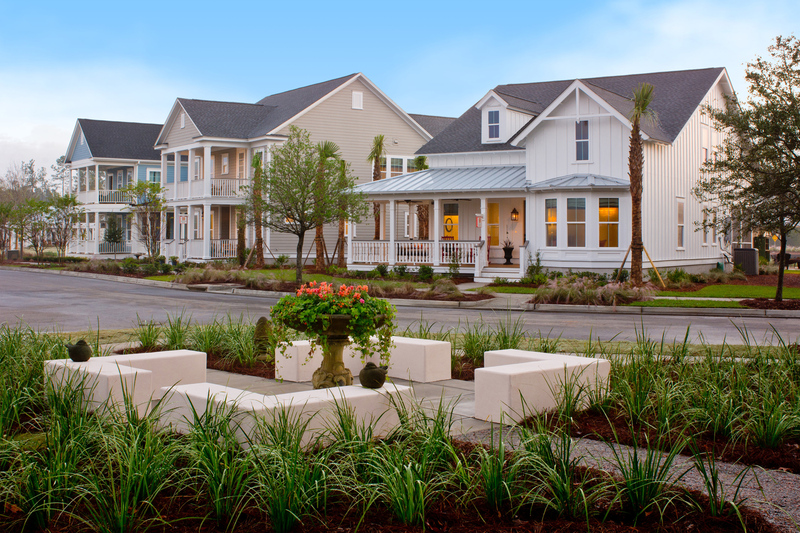 My only fail-safe option would be to step outside and judge the colors under the bright, full spectrum light of the sun (something we always do when selecting exterior colors). All this over a pair of pants. Many people don’t realize that lighting affects how we perceive color. The fluorescents of old were infamous for their sickly greenish glow. Lovely. Incandescent lights, while full spectrum, cast an amber glow. This means it would be hard to tell white from off white under these lights. “Color rendering” describes how a light source makes the color of an object appear to human eyes and how well subtle variations in color shades are revealed. The Color Rendering Index (CRI) is a scale from 0 to 100 percent indicating how accurate a “given light source” is at rendering color when compared to a “reference light source” according to Semmer Lighting Company Inc. For reference – museums strive for a CRI around 97 or 98. If you select a “daylight” fluorescent lamp, you’re close to 80 on the CRI scale. I can’t tell you what kind of fluorescent lamp is in my laundry room or the lamps in our closets. I can confidently say, however, that they are NOT museum quality. I’ve often said, the way to a woman’s heart is through the size of her closet. 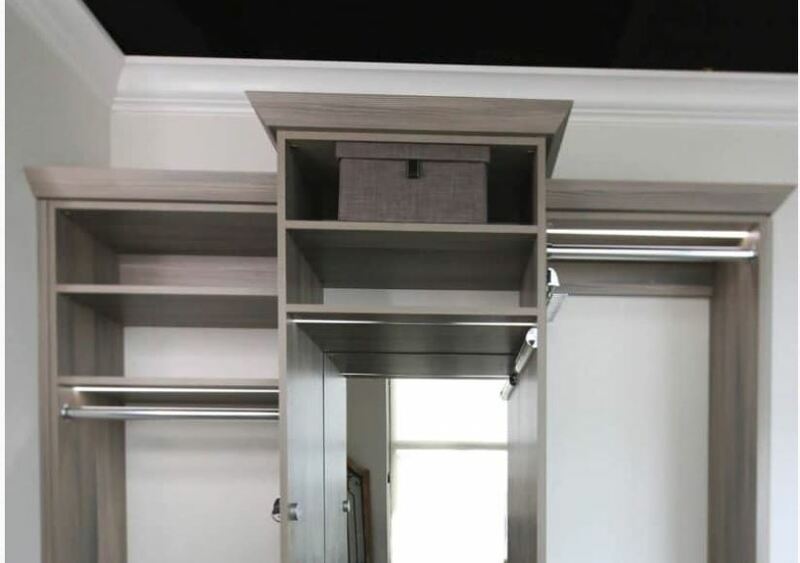 Indeed, the size of closets is a big focus when it comes to the design of a home. 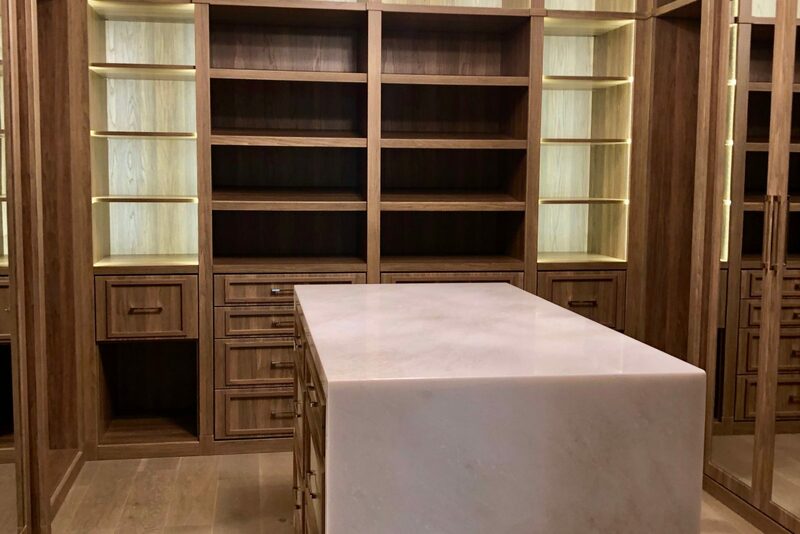 As the size of the home grows, so should its closet. 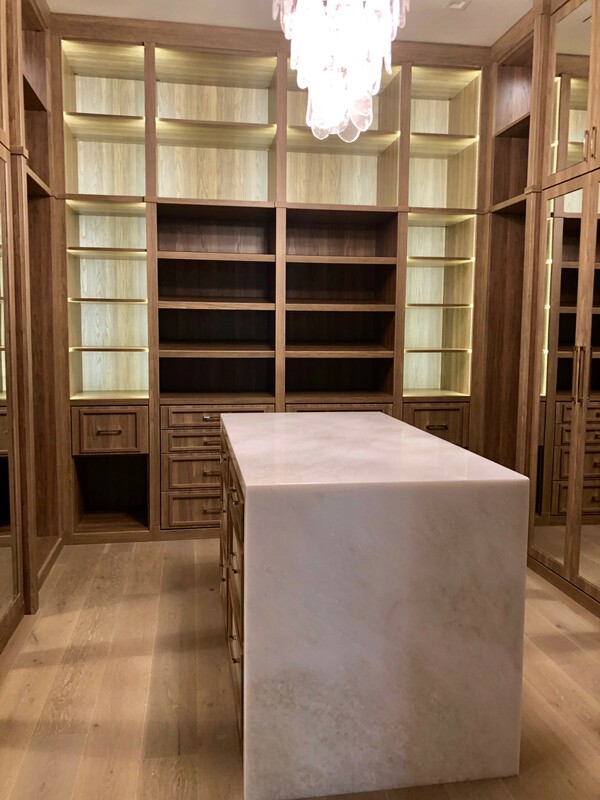 Let’s take a moment to appreciate a few dream closets (also notice the lighting used!). Poor closet lighting can lead to embarrassing moments. Yes, I went to work one day with one navy blue shoe and one black shoe. That was the last time I bought the same shoe in several colors. If I had a closet like the one below, I wouldn’t have made such an error. It’s only practical! Double hanging means double trouble when it comes to closet lighting. The top row of hanging may be well illuminated by the ceiling lights, but it casts a shadow on the second row of hanging. Now, only half of your wardrobe is lit properly. Clever closet system designers have now incorporated LED lighting strips into their setups. Suffice to say, my closet is in desperate need of an upgrade. Whether its hangers or shoe shopping, poor closet lighting can force us to adjust the way we live. Shouldn’t our houses be working for us instead of against us? 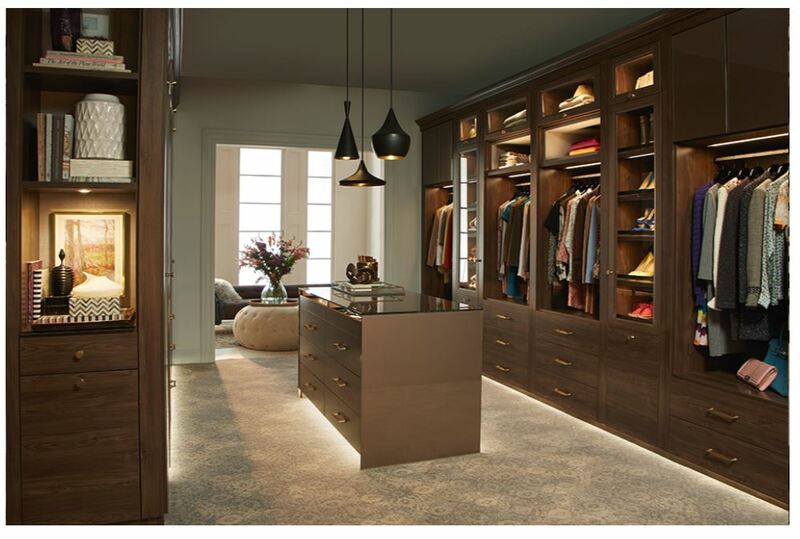 I hope you will give your closet lights the attention it needs and your client’s deserve. And for the record, I saw white and gold all day long.